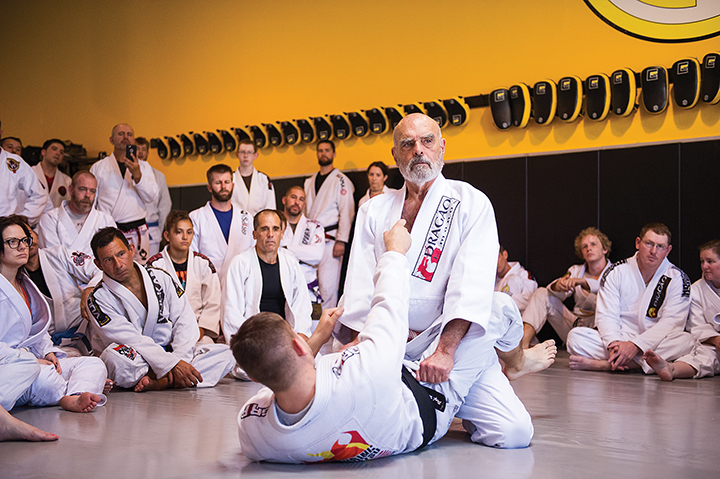 Starting at the Gracie Academy in 1947 under Helio and Carlos Gracie, Grand Master Flavio Behring has been practicing jiu-jitsu for close to 70 years. At almost 80 years old he is the oldest Red Belt still actively teaching seminars on a regular basis. In fact, Grand Master Flavio travels around the world teaching on a schedule that would crush many instructors half his age. One of the photographer was impressed by Flavio`s skill of jiu-jitsu. “I was introduced to jiu-jitsu when asked to photograph one of his seminars at Absolute MMA in Salt Lake City, Utah. I was so impressed by how Grand Master moved that I had to give it a shot. I figured if he could do it, I could at least try. I started my own journey in jiu-jitsu at 35 years old, it has become a significant part of my life”.